If you look out the window, look south to the imposing ridge of the Luson Mountains, with the river Rienza meandering through the valley. The Alpe di Rodengo, one of the largest alpine plateaus in Europe, extends along the hills. It ranges from 1,500 m up to a height of 2,200 meters and stretches on about 20 km2. 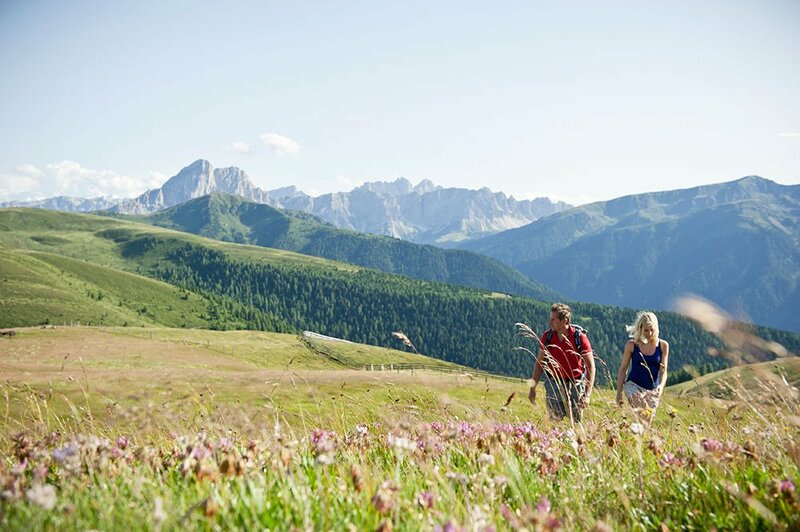 The Alpe di Rodengo exerts an almost magnetic attraction on vacationers in the Isarco Valley; it is the ideal holiday destination for all active holidaymakers. From our hotel, within a few minutes you may reach one of the three parking lots, from where you may venture out into the nature. The plateau of the Alpe di Rodengo is truly vast. 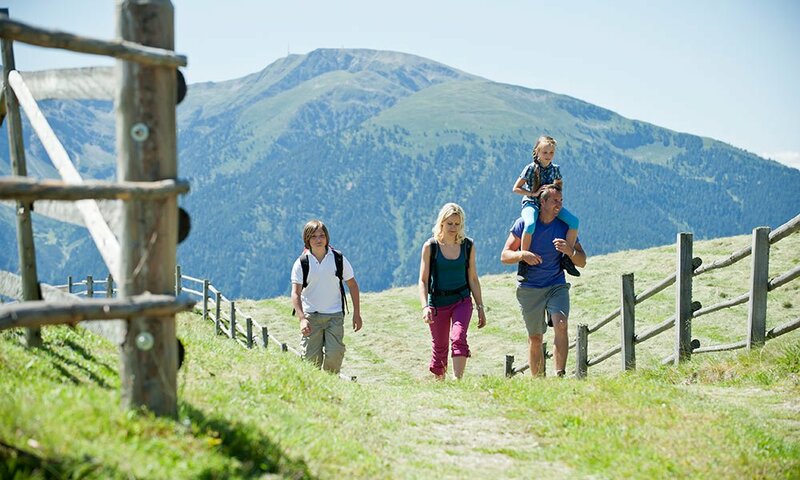 From each of the parking lots (“Zumis”/Rodengo, “Tulper-Gompis”/Luson and “Kreuzner”/Ellen), you may reach a network of different hiking itineraries, which offers many different levels of difficulty and highlights. 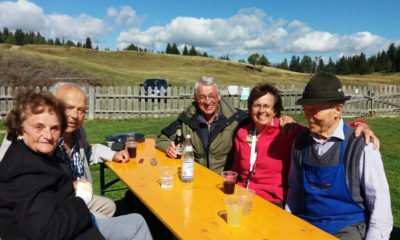 Recommended for families, for example, the tour from the parking lot “Zumis” on the Confin Path to the lodge Ronerhütte; from there continue to the Pianer Cross – an alpine chapel – and on to the lodges Rastenhütte and Starkenfeldhütte. Make your way back on the same path. In the winter, the lodges are open until March and partly to the end of April, thus, this beautiful tour is a great hiking pleasure in every season – especially on snowshoes. 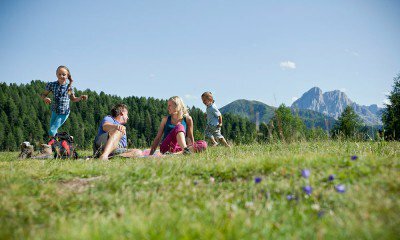 On the top, you may admire a superb panoramic view across to the Dolomites and the Zillertal Alps. 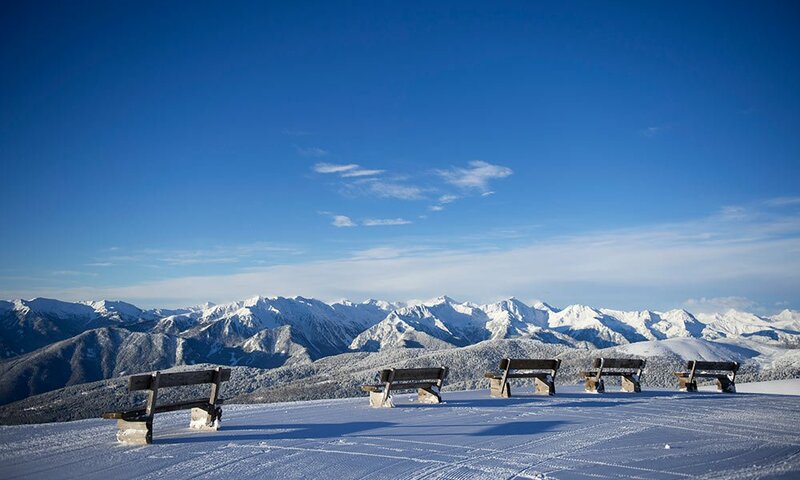 A particularly beautiful panorama is the view from the 2,194-m Cima Lasta. Below, the many mountain lakes, such as the Tschuppwald Lake, and picturesque moorlands invite to visit, and linger. Of course, for your peak experiences you do not need to spend your vacation with us in the snowshoe season. The main season for this attractive hiking area is from May to October. After that period, with the right equipment, your tours on the Alpe di Rodengo will also offer plenty of fun. You may enjoy cross-country skiing and race down one of several toboggan runs.